I’ve not shied away from sharing my skin issues with you on my blog. If you have pesky skin I want you to find comfort in the fact that I struggle with my skin too. I like to tackle a problem head on and I’ve tried and tested multiple avenues to keep my spots at bay so I’ve chosen to share those ones I value most with you. I have oily skin around my chin and I know the trouble starts when the pores get clogged, so concentrating on keeping that area dirt free is essential. I’ve tried a lot of different products and I felt like I needed something that penetrates the skin a little deeper to really help keep my skin clear. 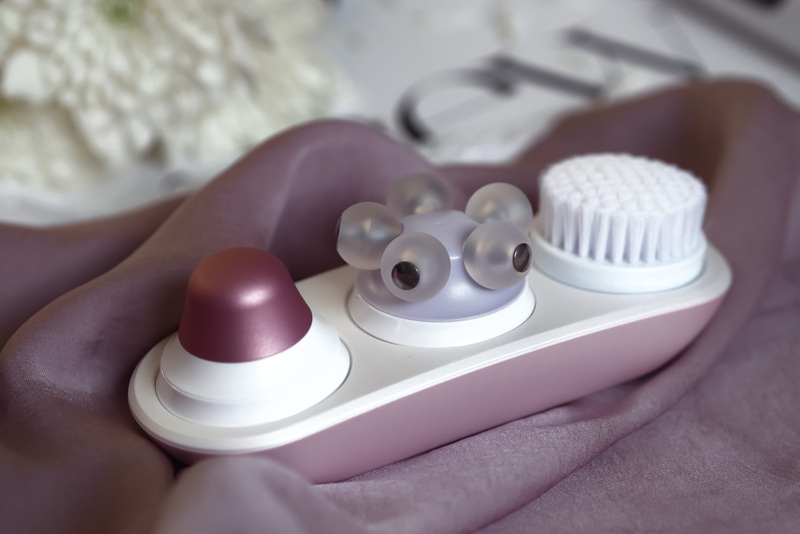 So let me introduce you to the Philips VisaPure Advanced 3-in-1 facial cleansing brush for ten times better cleansing! Firstly there is a brush head for any skin type so Visapure can really cater to your needs. You can also use in the shower or on-the-go so a real versatile cleansing tool. Once turned on you will notice the brush rotates and vibrates. 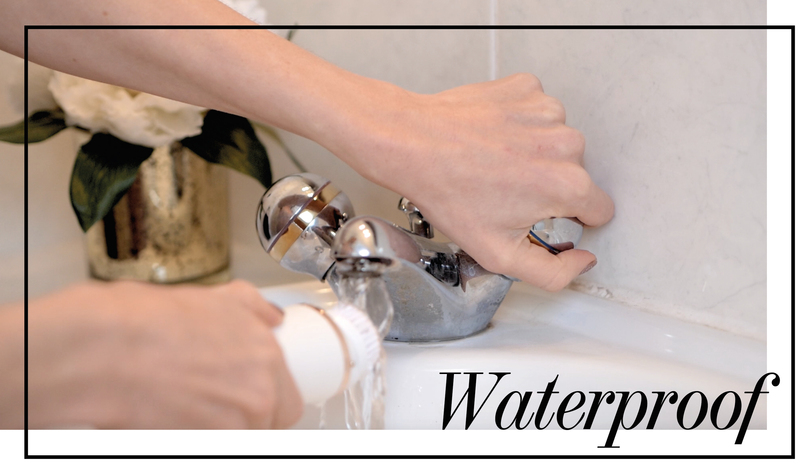 The vertical motion gently breaks up surface impurities like dirt, dead skin cells and make-up residue. I always feel like I never quite get all my makeup off so this really helps my face feel clean! The rotation then simply sweeps the impurities away for a deep cleanse. Thanks to the deep cleanse your skincare products are better absorbed into the skin for longer lasting more effective results. It’s really simple to use and the device even times the routine for you so you know when you’ve finished. I really love that it has two intensity settings so I can choose what best suits me on a daily basis. For instance if it’s been a heavy make-up day I will opt for a higher intensity level, or if it’s been a day at home I will cleanse on the lowest intensity. 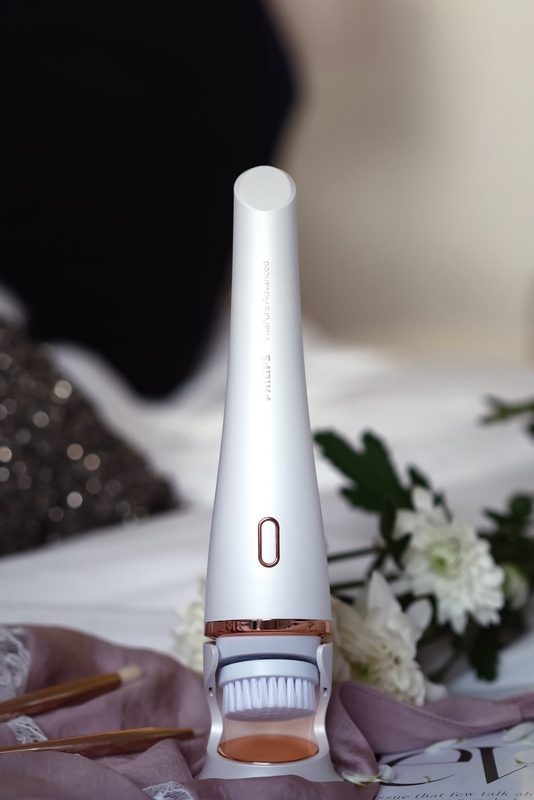 The white and rose gold is so aesthetically pleasing and I never thought I would appreciate how beautiful it looks next to my rose gold Philips DiamondClean toothbrush (bathroom goals). When connected it fully charges the device for six hours, meaning you can easily pack it for travelling in it’s pouch for cleansing on the go. There are several attachments available so you can really get the most out of the product. 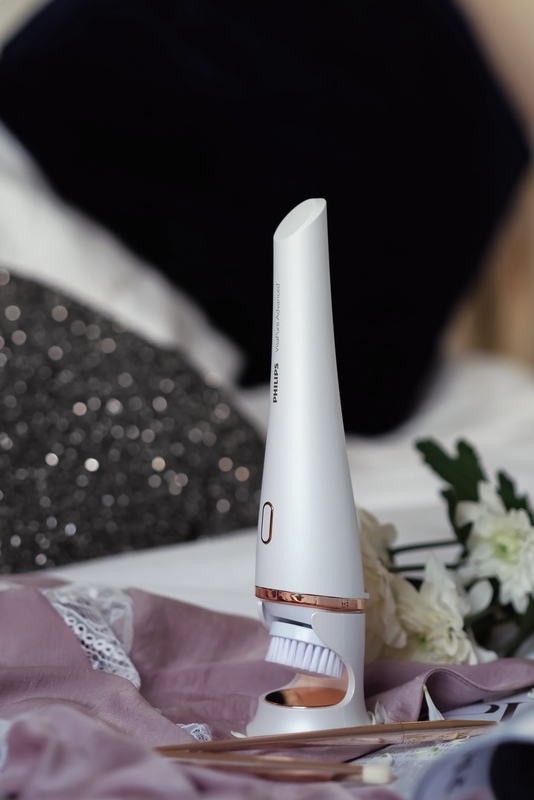 I’ve tried the VisaPure Advanced Revitalising Massage attachment and not only is it great to unwind and super therapeutic but it helps increase the blood circulation around the face too. By doing this it relaxes the facial muscles leaving a radiant healthy looking glow to your skin. I need all the help I can get so this is great for that extra bit of boost on those tired looking days. The Visapure Advanced Fresh Eyes attachment is a favourite of mine. With late nights and busy deadlines my eyes really suffer and are my most problematic area when it comes to fine lines. The premium cool material and customised DualMotion programme gently massage your under eye area. It is specifically designed for the thin and delicate area around your eyes and the cool coating immediately revitalises your eye area. 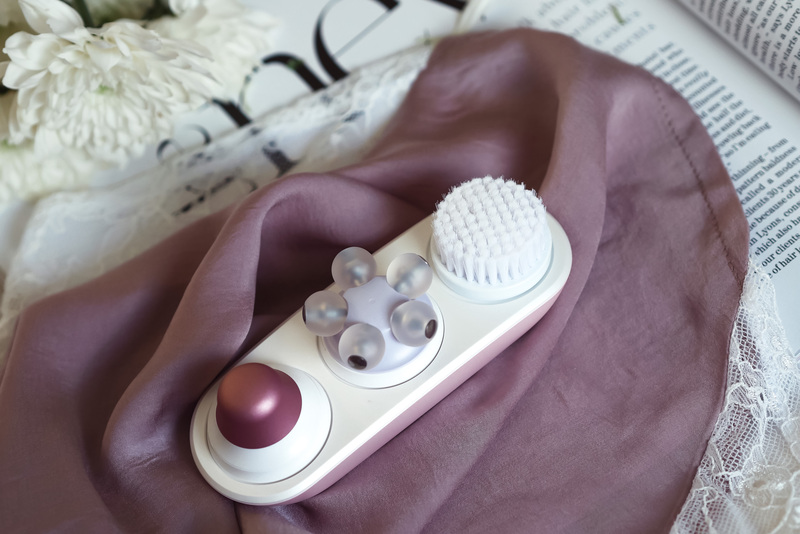 I’ve been incorporating the VisaPure Advanced 3-in-1 facial cleansing brush into my skincare routine for approximately one month now and I’ve noticed an incredible difference in the texture of my skin. On so many occasions people have asked what highlight I’m using when I’ve had no make-up on at all. 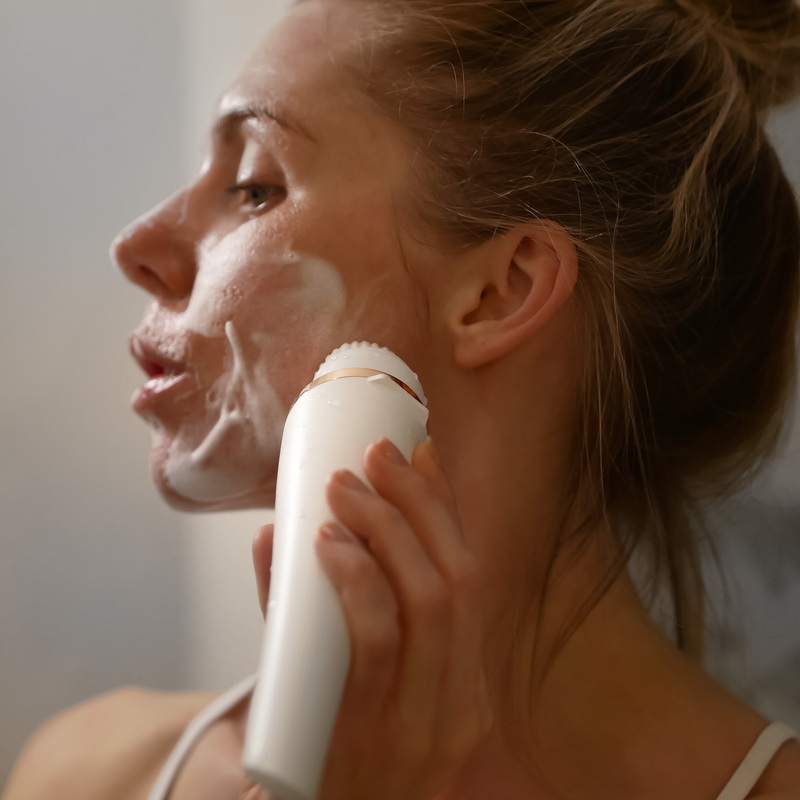 My skin has a radiance it has never had before and I can only put it down to the Philips VisaPure Advanced Cleansing Device. I would definitely recommend this product! Use my discount code LAURA150 to get 25% off at checkout, for more information on the Philips VisaPure Advanced Cleansing Device click here. *This post is a collaboration with Philips but all thoughts, creativity and opinions are my own.